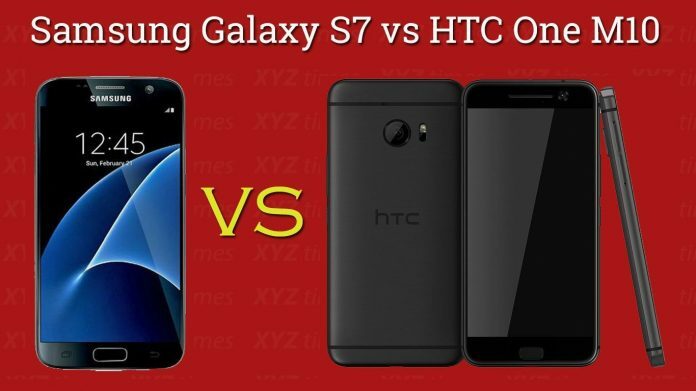 Galaxy S7 and HTC One M10, the upcoming flagship devices from two top mobile manufacturers, i.e. Samsung and HTC are the most awaited smartphones of the year 2016. These two smartphones will act as the barometer for other Android phone for this whole year. No wonder that these two premium flagship devices will carry a premium price too, but here we will ignore the price aspect of these devices and will only compare the hardware specifications of these phones. Please note that this is just an early comparison between the two and the final specifications may vary. Currently, HTC One M10 is more of a disclosed device, but there has been a lot of rumours about Galaxy S7 specifications which has most of the hardware specs of the phone. So as per the trusted sources and rumours we have compiled a comparison sheet to compare the specs of these two upcoming flagship devices. No doubt that both the devices will come with the most advanced hardware that is available on the market with complete metallic and premium design. Both the smartphones are best in almost all the sections, and it is very hard to vote down anyone these phones until these phones get launched, and we get our hands on them. But specification wise, Samsung seems to have a better display as their Super AMOLED display has a slight edge over normal AMOLED screen in terms of display density and colour reproduction. But when it comes to storage, there is no external storage support in Galaxy S7, while HTC One M10 do support micro SD card up to 200GB. Though the recent rumour has revealed that S7 might have micro Sd card support. The selection of phone also depends on the personal choice of user interface, where some people like the regular Samsung’s TouchWiz, some might like the different and eye candy user interface of HTC, i.e. HTC Sense. Therefore the final comparison between the two will only be possible when both the phones become available to the public. Till then we can only have a small comparison between the two by limited hardware specifications. There is still more to come, both the flagships are ready to get launched in this quarter, and all the features that are under the sheet will be revealed soon. To get more updates on Samsung Galaxy S7 and HTC One M10 stay tuned with us.